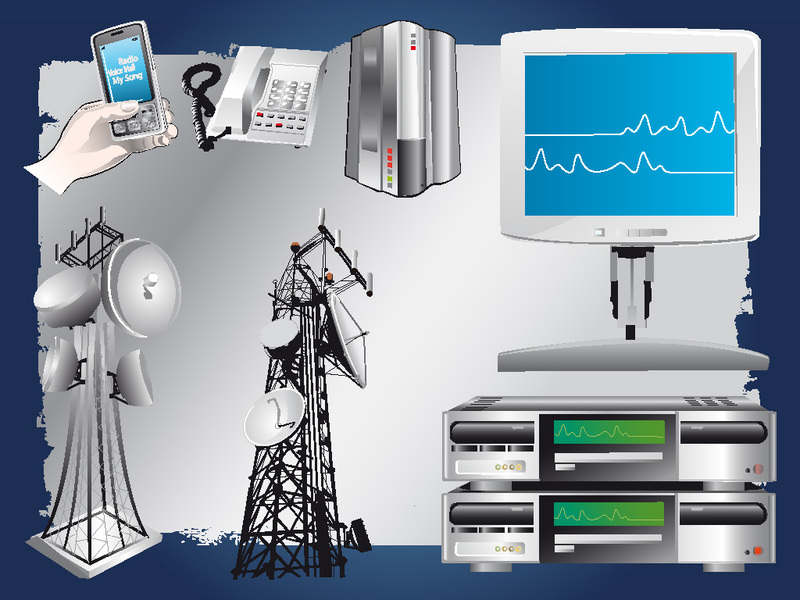 This set of communication equipment includes a dedicated server, computer screen, medical monitor and devices with signals, satellite antenna, office phone, cell phone, smartphone and iphone model. Download these cool vectors for your design needs. Tags: Communication, Equipment, Hardware, Monitor, Phone, Server, Technology.